Hogarth’s Pest Control specializes in Carpenter Bee removal. Carpenter bees are large, black and yellow stinging insects that typically only live up to a year. Females rarely sting and males cannot sting. These bees typically bore into raw wood and and deck timbers, especially if it’s weathered or has starter holes. As a result can cause severe damage to log and wood-sided structures. Contrary to popular belief, these bees do not eat wood, they simply chew and live within it. Nectar from flowering plants is their main food source. Carpenter bees overwinter and typically become active in April and May and lay their eggs in June. Professional treatment is key. Moreover, dusting in entrance holes and an exterior pesticide treatment on affected wood is the most effective method for control. Carpenter bees typically require multiple treatments over the course of a season. To prevent them from re-infesting, caulking and sealing of of holes and refinishing or replacement of wood is necessary. 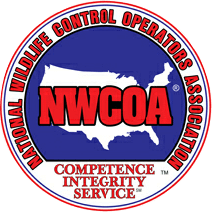 We specialize in this type of eradication and remediation. 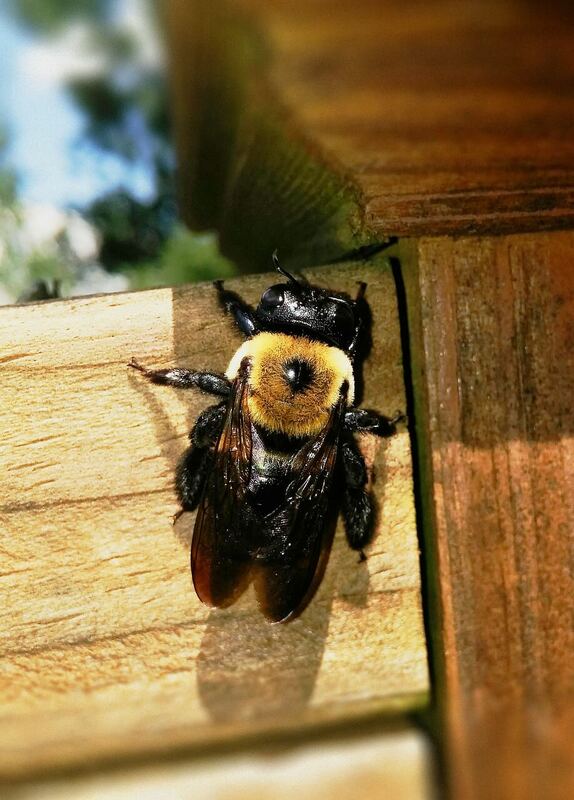 If you have noticed an abundance of carpenter bees around your structure, please give us a call today! We have been keeping structures carpenter bee free for 25 years!